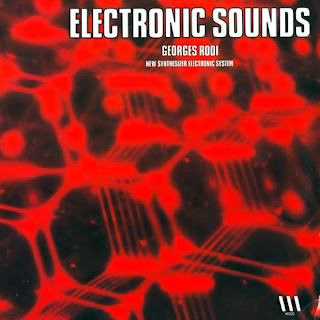 This is a lovely collection of melodic pop tunes from Georges Rodi that features plenty of drum machines, synths and moog. The highlights for my mind are the fun muzak stylings of "Sand Rose" along with "Superpositions" which sounds like an insane computer's interpretation of a Piero Umiliani track. Roger Roger and Jean-Jacques Perrey enthusiasts should enjoy this one most of all. Thanks to the original uploader.